Carowinds has a great variety of roller coasters to choose from. While their Top 3 in the park to most visitors seem to be the only good coasters at the park, other ones are still good as well. 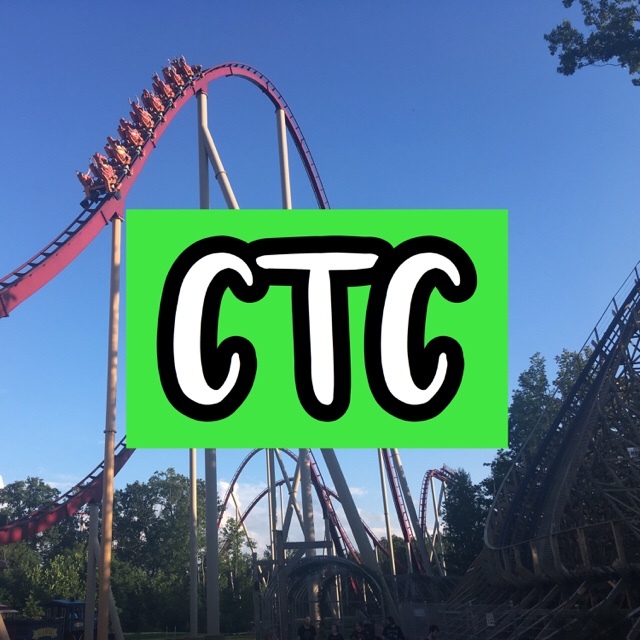 I will be sharing my full list of my Top 13 Roller Coasters at Carowinds for January 2019! They are based on my personal experiences of the ride. Opinions can change, especially when riding another season or day. Originally Lucy’s Crabbie Cabbie, this is a small kiddie coaster similar to Cedar Point’s Wilderness Run. The park renamed the coaster for the 2018 season. Personally, it was not a good decision because rides should have unique names, not ones from other parks. The ride is good for little kids for their first coaster. This is a roller coaster similar to many others, Flying Ace Aerial Chase. It was renamed for the 2018 season and I support the decision. It reinstates a unique theme to the park. It is a more mild-thrill coaster for little kids. Some who are scared of any turns many not enjoy it because it is suspended. Woodstock Express is a wooden roller coaster. It is a step up from Kiddy Hawk as it is a different type of coaster with a different layout. It has different elements. It is also extremely smooth due to constant maintenance done on the ride. It is a great roller coaster for people who are looking for something different and to prepare for larger rides. It is targeted towards younger kids. The Carolina Cyclone is a classic roller coaster at Carowinds. It has 4 inversions. While it is a rough ride at some times, it is still a fun one. The Vortex while not the most comfortable ride at the park, it is still fun. It can sometimes have a good ride experience and sometimes have a bad experience. It is one of the very few stand-up coasters left today. There are still some good elements and inversions on the ride. The ride can be extremely rough at certain points during the course or on a specific day. Nighthawk is a Flying coaster at Carowinds. It has some great elements and overall is a great ride. However, it can be rough during many times. Some rides that I have had on the ride have been absolutely horrible, while others were relatively good. For this coaster, it really depends on the day you ride it and what type of ride experience comes from it. Overall, it is a good ride. The Flying Cobras is a pretty good ride at Carowinds. It fits very well with the other coasters of the park. It is a pretty good ride and is very thrilling. Some rides are better than others, so it varies. I find for most of my rides on The Flying Cobras being released facing forward is more comfortable and smoother than being released backwards. The Carolina Goldrusher is a great coaster at the park. It is a nice mine train and has a lot of good elements. It particularly is a great coaster to ride during the evening when it is darker out. The ride is enjoyed among many families who visit the park. While it is a great ride, however, other rides rule this out leaving it at #6. The Ricochet is a very fun family coaster at the park. Many violent twists and turns on the ride and sudden small drops make it an intense ride. It is especially fun to ride with a group of friends, there are 4 people per car. While it may not have all of the elements that most coasters do, it is a great ride. Hurler is a great wooden coaster at the park. Many people consider it to be rough, and while it is, the ride still provides a great experience. Some rides will be very smooth and full of some floater airtime. The layout is awesome on the ride and I love the section of the park that it is placed in. It fits perfectly. Intimidator is another great B&M Hyper Coaster, and it’s located at Carowinds. It is a very smooth coaster with some great floater airtime. It can be sluggish at times and is not that intense, ranking at #3. Afterburn is a B&M Inverted Coaster at Carowinds. It is very popular and one of the best rides in the park due to the wide variety of elements. It is also a thrilling ride due to the great inversions and intensity during the ride. It is one of the best coasters in the park. Fury 325 is the best roller coaster by far in the park. The height is great on the ride and provides for an intense, amazing drop. The ride is packed with awesome elements and unique attributes that many B&M Giga Coasters fail to deliver. It is an amazing ride and is why 95% of people who visit consider it to be the best in the park. I hope you learned about the selection of roller coasters that Carowinds in Charlotte, NC has to offer. I hope this article gave you insight onto which rides are the best and which rides rank lower compared to the other. More information can be found on Carowinds’ official website here. All of the photos used to accompany the rankings of the roller coasters in this article are owned by Carowinds and used for advertising purposes only. Hey Brandon. Nice top 13 list from Carowinds. My list would differ a lot from yours but that is ok. We are all individuals and everyone rates rides differently. I’m glad you review the rides as you see them and not like some other persons views. I hope you keep that mentality. As for STEVEH’s comments, I understand why your reviews were short. If you had went in depth with all 13 coasters, the article would have been ridiculously long. I prefer the way you wrote this article. If it was too long, I might not have wanted to read it all. If you do more top # coasters articles (and I hope you do), please keep this format. If you review individual coasters, then STEVEH’s comments would be worthwhile. Looking forward to your next posts. Hi! Thank you. My list changed each time I visited Carowinds, so I am expecting it to change this year. Thank you for the feedback! I appreciate it. I don’t think you need to go into “essay mode” to review a coaster. A simple pro/con observation list is enough. But most of your observations do lack credibility citing “most people” and “some people” leaving me to wonder how you compiled this input. I want to read something other than the parks always favorable description, and if it’s “fun” or “great”. Reviewing a coaster in a countdown is not really logical. A simple description to help people enough why it was ranked in a specific spot is enough. Making a pro/con observation is fine, but once you go with more than 3 of them it is too much like a review. There has to be a boundary between the two. 13 It has a bad name. 12 Is similar and unique? Both? 11 Transitional riders only need to apply? 9 Fun, bad, (both?) last of a breed. 6 Great, nice, better in dark, oh, and it’s great. 4 Great while some find it rough and others find it smooth? 3 Great, smooth, & sluggish. 1 It’s high and has a big drop (if you have one, you kind of have to have the other) – that makes it the best. Whatever the definition of roller coaster greatness is, #8,#6, #6 (again) ,#5, #4, and #3 all seem to have it. You need more substance in reviews. Comfort, load/unload times, restraints, and themeing would help. I agree with most of your opinions. It is possible that I can include restraints in my countdowns to provide a better description for the ranking. However, I did take into consideration all of the elements of the ride. I am not going to include load/unload times because it will vary from person to person, making it vague. Theming I also could add, however, at a Cedar Fair park there is not much. Normally I scale on these levels when I conduct individual reviews. Since I use all of these to rank the rides, next time, I will include them in my descriptions. Thanks for the feedback! Previous10 Tips for Visiting Michigan’s Adventure!